Imagine an essential oil so sweet, mellow, warm, and soothing, with such a wide array of practical applications [see MODERN USES OF CEDARWOOD Essential Oil below] that you won’t want to be without it in your ‘natural medicine cabinet’. 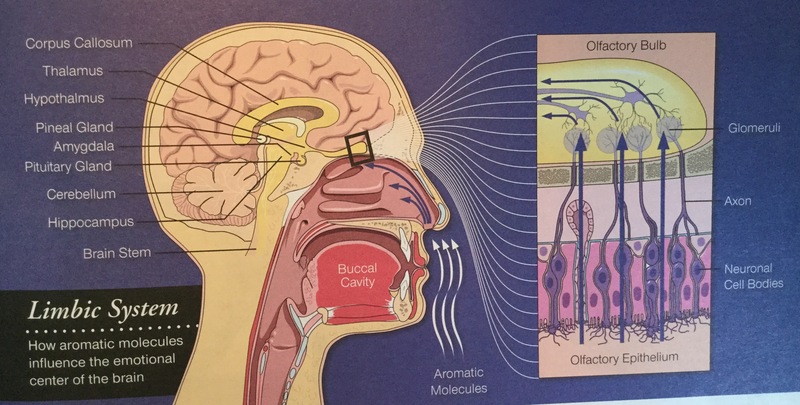 Properly distilled Cedarwood essential oil, with its high concentration of sesquiterpene molecules (see below) encourages serotonin production, which is then converted to melatonin in the pineal gland, the sleep inducing hormone. Cedarwood is is a lovely essential oil to diffuse at bedtime, and while sleeping, to create a healthy, restorative sleep cycle. Cedarwood combined with Lavender is a calming, relaxing blend. Cedarwood (Cedrus atlanticus), found in Greece, the Atlas Mountains of Morocco, Algeria, and in the U.S.A., is the species of cedar most closely related to the majestic biblical ‘Cedars of Lebanon’ (Cedrus lebani), who’s forests were exploited and decimated by ancient kings – first by Egyptian Pharaoh’s, and then king David, and king Solomon, for medicinal and building purposes, until they were all but extinct. Cedarwood may be the first and most ancient of the distilled essential oils. The Chinese, Tibetans, Sumerians, and Egyptians, were using Cedarwood for hygienic, disinfecting, and embalming purposes more than 5,000 years ago. There is evidence that Egyptians were distilling Cedarwood oil as far back as 3,500 B.C., and it is mentioned on a Babylonian tablet dated 1800 B.C. Egyptians used Cedarwood to build aromatic and durable temples and dwellings, to make musical instruments, coffins, and boats. King Solomon traded 280,000 bushels of grain and 1,200 gallons of oil (probably olive, and perhaps some almond, walnut, pistachio, or sesame oil, and some essential oils) with King Hiram of Tyre (Phoenicia) for the Lebanese Cedrus lebani cedar trees to build the temple and his home in Israel. Though King Solomon was wise in many things his wisdom did not extend to awareness of sustainability and reforestation, as thousands of workers stripped the lush forestlands of Lebanon near Tyre, and floated the wood by sea down to Jerusalem. Sesquiterpenes are oxygenating, mood elevating, and deprogram miswritten or garbled codes in the DNA. “The idea of a Cedar dwelling for a king”, writes Dr. David Stewart, “as well as a place for worship, is an excellent application of the power of essential oils. Cedar is a fragrant wood, due to its oil content, whose aroma lasts indefinitely…It is probably no coincidence that both David and Solomon chose cedar as the wood for their home and temple. ANCIENT USES OF CEDARWOOD, wood and Essential Oil: 3.4. MODERN USES OF CEDARWOOD Essential Oil: 1.2.3. APPLICATION OF pure 100% CEDARWOOD (Cedrus atlantica) Essential Oil: 1.3. Caution: Do not confuse Cedarwood (Cedrus atlantica) with white cedar or thuja (Thuja occidentalis). Thuja oil has been found to induce seizures. Young Living does not sell Thuja occidentalis. Diffuse – on its own or try blending with Lavender, Lemon, Rosemary, Frankincense, Sacred Frankincense, Bergamot, Peppermint, or Joy E.O. blend. Apply topically – 1:1 in a carrier oil on VitaFlex points and energy centers (e.g. top of head, forehead between eyes, base of spine, or center of chest). May be applied “neat” or straight without a carrier oil – test on inside wrist or skin patch of forearm. 1. The Complete Aromatherapy & Essential Oils Handbook for Everyday Wellness, Nerys Purchon and Lora Cantele. ©2014. Robert Rose Inc.